ARLINGTON, TEXAS - Twins pitcher Scott Baker emerged from the visiting clubhouse Saturday night, kissed his wife, Leann, and high-fived his two young boys. 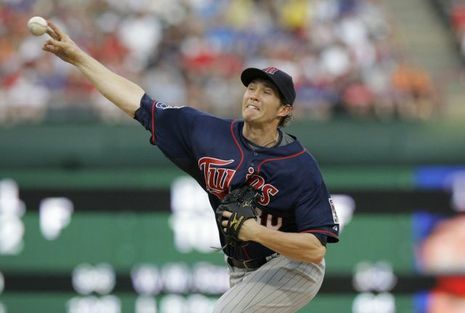 It was a scene from the road that hardly seemed possible two months ago, when Baker was in a rut, and the Twins rarely won away from the Metrodome. But Baker has climbed above .500, and the Twins' once abysmal road record is heading in that direction.